The first novel in the 'Frederica Quartet' series of books. Frederica Potter is not the most likeable of central characters - she has a very high opinion of her own intellect and a tendancy to look down on other people - but I think that's the whole point. Byatt's writing is lush and stunning. Added to niccijl's Paperback Fiction Bookbox. Taken from niccijl's bookbox. I like to take from bookboxes something I wouldn't necessarily pick up in a shop. This book falls into that category. 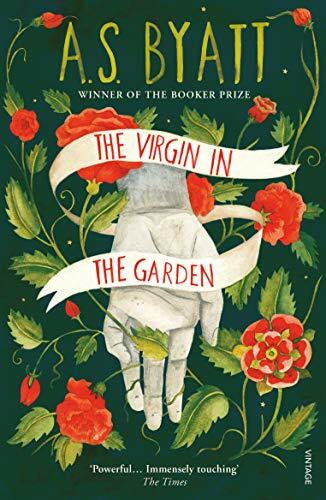 Since I haven't got round to this book yet, but would still like to read it, I'm loaning this book to Wyjane who will be reading it with her book group. I'll then read it after her. This book has returned from its holiday in Hertfordshire. I will read it, really I will!